The Pizzi Metered PVA Glue Applicator with 2 guns was built for quick and precise gluing of dowels, dados, edges, and more. Set your desired glue output for each application and achieve perfectly consistent glue with each shot. 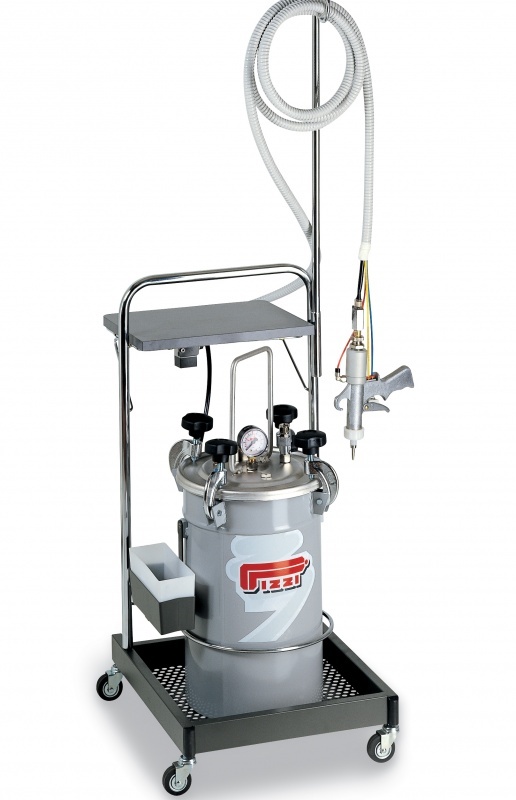 This glue applicator tank includes 2 guns, allowing for 2 operators to glue simultaneously without affecting the performance of the glue tank.